AEG SVS SNMP Adapter - Remote management adapter - EN, Fast EN - 10Base-T, 100Base-TX"
The APC Power Distribution Unit (PDU) AP7951 is a socket strip for rack cabinets, which can be managed over the network, thus enabling remote control of the power connections. The development was of course equally important for a sturdy design, which assures the bar even in harsh environments. 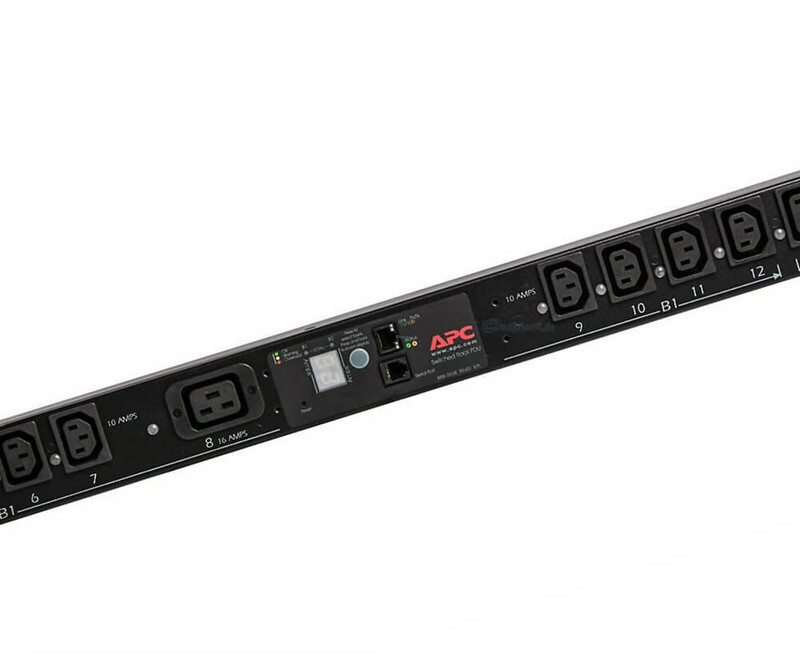 The APC Switched Rack PDU AP7951 provides three IEC 320 EN 60320 C19 power connectors, as well as 21 IEC 320 EN 60320 C13 power connectors. The socket strip has an IEC 309 EN 60309 connection, which is designed for 16 A. The product is designed for an input voltage of 200/208/230 V.
During assembly, after connection and in everyday life, the performance can be checked at any time using the LCD display. The APC Switched Rack PDU AP7951 provides all the necessary values ? ?to ensure reliable functioning of the connected systems. This allows you to operate your servers, switches and other devices as intended. Another special feature of the APC Switched Rack PDU socket strip AP7951 is network management. For remote management, SNMP, Telnet and HTTP are available as logs, enabling you to keep control from a distance at any time. For example, simply monitor the current overall performance in order to detect potential failures in advance.